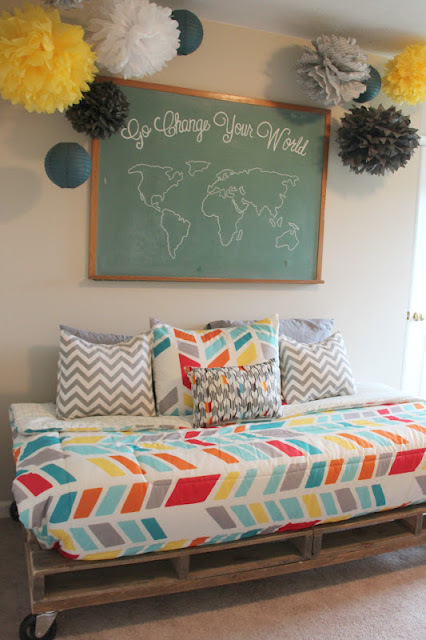 We just completed a custom boys room! 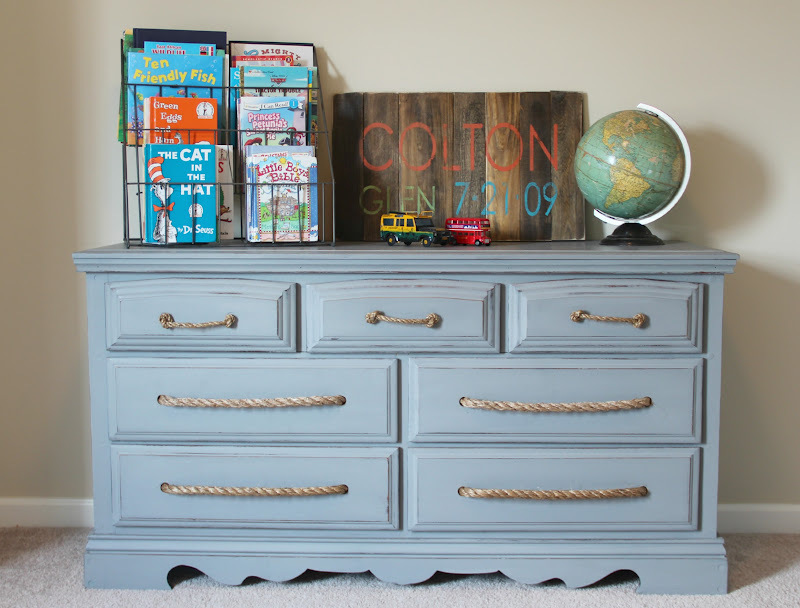 Dresser was painted in a mix of Annie Sloan Paris Gray & Graphite with rope handles. And...we tried our hand at a pallet bed! 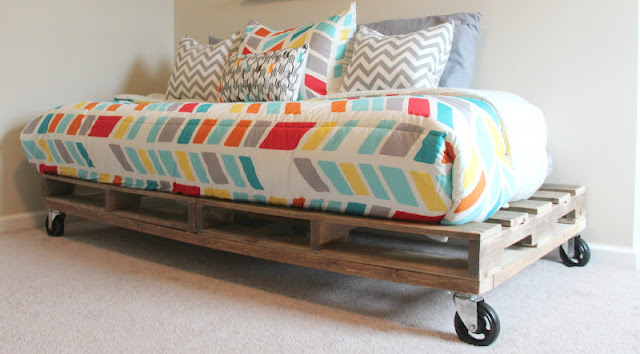 The bed can be used in a daybed style or regular bed style.